The outpouring of shock and sadness yesterday at the announcement of the overdose death of Philip Seymour Hoffman was not at all surprising. One of this generation’s greatest, most talented actors was found alone in his apartment, dead of an apparent drug overdose, the needle still in his arm. This after getting clean through drug treatment in his early twenties, having 23 years of sobriety and then relapsing around a year ago. He left behind an incredible legacy of character roles, awards, adoring fans and most importantly and devastatingly , a wife and three young children. Shock and sadness and anger are all typical responses when an overdose happens. And now that it has been a day, now here comes the outcry of opinions. Opinions by people that think they are informed, but probably are uninformed. Some may be informed on one piece of the addiction puzzle. Some may be completely uninformed. But when has that ever stopped people from voicing their opinions. Opinions like: He was selfish. He wasn’t selfish, he was sick. It’s not his fault, he has a DISEASE! (In a “Randy from South Park” voice). He should have gotten better treatment! Drug treatment doesn’t work! If he had been on Suboxone or some type of maintenance program this wouldn’t have happened. How could he have done this, look at all the people that loved him. He had everything in life and he threw it away. These are just a small sample of the opinions that are being hurled around the internet not more than a day after Philip Seymour Hoffman’s untimely death. There is some validity to all these points, and yet the many of these opinions taken on their own as a stand alone argument, are absurd. The truth is, relapse CAN often be a part of recovery, but it doesn’t HAVE to be. The truth is that most people that die from an overdose don’t plan to actually end their life that last time they use, but some do. The truth is that ”evidence-based” treatment like long-term medication maintenance sometimes helps prevent relapse, but it rarely does long-term. 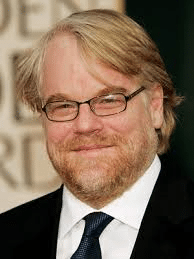 The truth is that Philip Seymour Hoffman had a family that loved him very much, thousands of adoring fans and all the material things that life has to offer, but addiction doesn’t discriminate and love and admiration and respect and worldly possessions do not overcome addiction or alcoholism. The truth is that not all overdoses are directly selfish, but addicts and alcoholics are inherently self-centered people which in turn leads to selfish behaviors that ultimately can end in an overdose. The truth is that most people don’t have a damn clue as to what was going with Philip Seymour Hoffman before or during his death and because a man so talented and beloved by so many is gone due to an illness that most people don’t understand, there are many questions that remain unanswered and now people are trying to deal with this situation in whatever way they can. They get angry. They get sad. They become outraged and want to blast their opinions on social media. They want to argue. They want to research. They want to find out WHY! WHY DID THIS HAPPEN? WHY DID HE DO THIS? HOW COULD IT HAVE BEEN PREVENTED? HOW CAN THESE THINGS BE PREVENTED IN THE FUTURE? There are a lot of questions. And apparently, from the outcry currently taking place across social media platforms, a lot of different expert answers. Here’s the truth: The truth is IF Philip Seymour Hoffman was an addict then he suffered from a deep sadness, a deep loneliness and a deep disconnect between himself and the world around him. He felt, for lack of a better description, not quite right. Regardless of his undeniable talent, he felt uneasy. He felt just not “good enough”. He felt apart from the world, from other people, from a spiritual connection to others and from himself. At some point in his twenty three years of sobriety, his sobriety began to feel suffocating. Life began to be a problem. A self-centered view of the world began to dominate his thinking. He saw life only as it related to him and he began to suffer from bouts of depression, of anxiety, of fear. His sobriety began to be the problem and the drugs that twenty three years ago had once been a terrible problem began to look like the answer. And when life becomes the problem and drugs look like the answer, there is no one or nothing that can persuade an addict otherwise. Willpower? An addict doesn’t need willpower to stop them from doing something they think is a good idea. Willpower doesn’t even enter the picture. Money? Power? Fame? Family? Children? These things are all important. Very important. But they cannot grant the absolution from the discomfort of life, the pain of living, of existing when something just feels like it’s…missing. These material or worldly things help, but they cannot ease the pain of life for an addict. For an addict, only drugs and alcohol offer the ultimate solution. The ultimate ease and comfort. Using makes life livable. And at some point, as he raised his children and he loved his wife and he performed brilliantly in movies and won accolades and awards, Philip Seymour Hoffman came to a point where he felt like he couldn’t breathe anymore. An addict can only hold their breath for so long without a solution. And that solution will either come in the healthy form of treatment, therapy and spiritual action…or that solution will come in the form of drugs and alcohol. Philip Seymour Hoffman did not “choose” drugs over his family or career. He did not “choose” to get high again. Someone that is drowning does not “choose” to gasp for air. It just comes natural. His choice was which path to choose. Immediately relief from something he knew could kill him. Or a healthy alternative, slower but more sustainable. And not a deadly path. He chose one of two paths. The unhealthy one, but the one he knew would guarantee an immediate relief from his pain, from his loneliness, from his suffocation. He overdosed and died seeking relief, because for a drug addict without a healthy solution, that’s what happens. Drug addicts use drugs. That’s what happens. And without a healthy solution of treatment, therapy, fellowship and spiritual action a drug addict will always use drugs again. And when people use dangerous drugs, drug overdoses and deaths can occur. It is painful to watch, it is sad to hear about, and it can be frightening. It can make you angry or enrage you or confuse you or cause you to become introspective or empathetic. But the truth is, these types of things happen every day. Because drugs addicts use drugs, and drugs can be deadly. And when you take away drugs from a drug addict, you must offer them another solution, another alternative. Something that is sustainable and not only deals with the physical, but also with the mental and the emotional and the spiritual. Education and prevention is important. Substance abuse treatment that includes approaches of medical, psychotherapeutic and social services is important. Resources and knowing where to find those resources is important. Twelve Step fellowships are important. All these things are important. These are the solutions for those addicts and alcoholics that are suffering through a painfully, lonely and unhappy existence. And they need to know that recovery is possible. That treatment is available. That long-term recovery is available to THEM. That it is possible to live sober AND happy. If you or someone you know if suffering from drug and alcohol issues and needs substance abuse detox or treatment in the following areas: Baltimore, Towson, Lutherville-Timonium, Pikesville, Owings Mills, Catonsville, Ellicott City, Cockeysville or any of the local areas in Baltimore County, Carroll County, Harford County or Baltimore City, please call (410) 773-0500 or email info@marylandaddictionrecovery.com. More information on our treatment options is available at www.marylandaddictionrecovery.com.